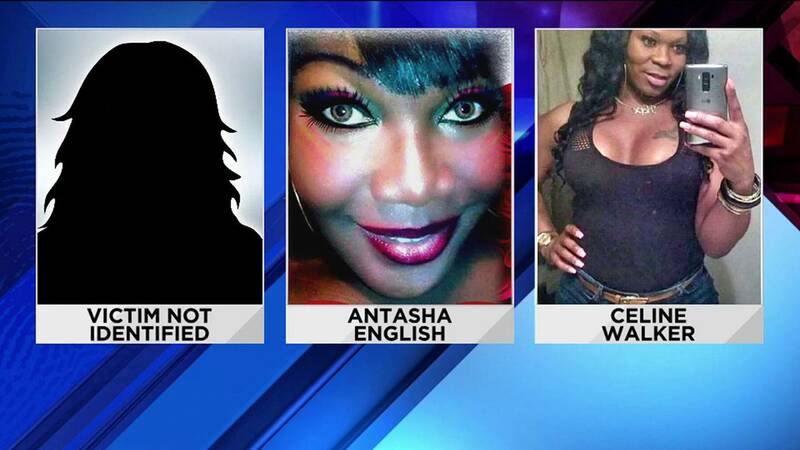 JACKSONVILLE, Fla. - Police are looking for whoever shot a transgender woman just off I-95 near Golfair Boulevard before dawn Friday. The Jacksonville Sheriff's Office said the person was shot multiple times at 4:15 a.m. on West 29th Street, near north Lee Street. She is expected to recover. News4Jax has learned the identity of the person shot, but we are withholding it until the gunman is in custody. Sources confirmed the person shot is transgender, making her the second transgender person shot in a week and the third since February. The other two died of their injuries. In February, Celine Walker, 36, was shot and killed at the Extended Stay America near the St. Johns Town Center. On June 1, Antasha English, 38, was shot and killed near a vacant home on Ella Street. Paige Mahogany, leader for the Transgender Awareness Project, an organization geared toward helping transgender people transition, said the recent targeting of transgender people is scary. "Everywhere I go, I watch my surroundings and I'm aware that I may not make it home safe," Mahogany said. "I tend to go places where I know where I'm going and where I've been." Police have not made any arrests in the latest shooting. Anyone who can help police find the gunman is asked to call Crime Stoppers at 866-845-TIPS. Callers can remain anonymous and be eligible for a cash reward.